This is the Final exam I use for second Semester Ceramics I. This is a word document and can be altered to fit your class or to make different versions. Whether you are a new or seasoned teacher this one page test will give you a few great ideas about checking your students for understanding. 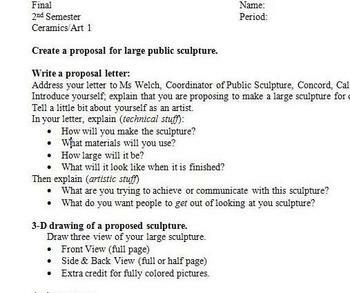 This version includes the Artist Statement worksheet.